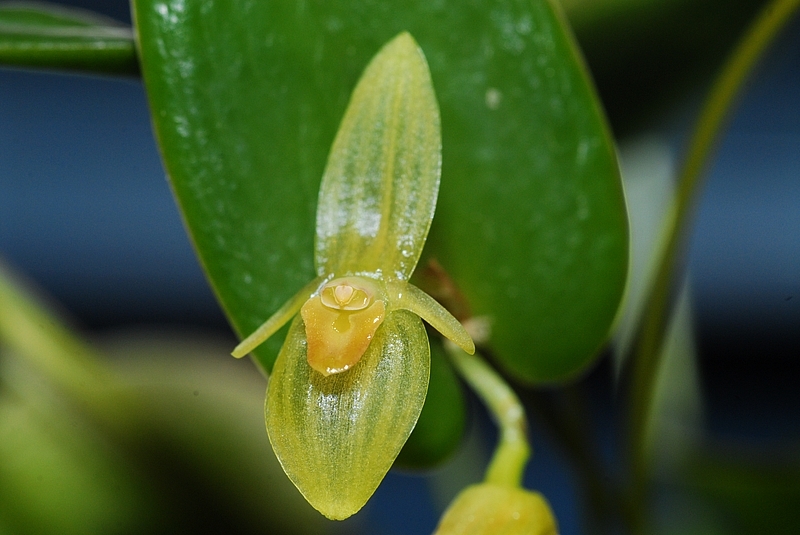 The habitat of this pleurothallis is in the rainforests of Costa Rica. 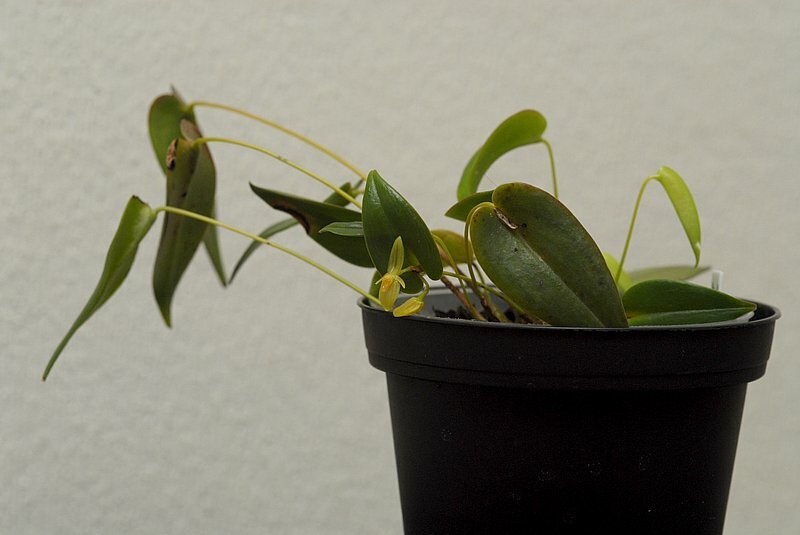 The Pleurothallis orchids are one of the largest genera in the orchid family. Most pleurothallids really like high humidity; 70% should be considered a minimum. It's easiest to provide this humidity in an orchidarium, and the plants are generally small enough that you can put quite a large collection in there. Though there is a great deal of diversity in this genus, most like cool temperatures that stay below 70°F (21C). If temperatures get too hot, they will quickly dry out, shrivel, and die; possibly in a matter of hours. The higher the light, the cooler the temperatures need to be, and vice versa. Most species like low-to-intermediate lighting; 700-1500 footcandles is reasonable. Most pleurothallids hate to dry out. Water as they approach dryness if you are able to provide plenty of humidity; keep them moist more consistently if the humidity is low. Good potting mixes for these orchids include fine-grade fir bark or sphagnum moss, usually in small plastic pots. You can also grow them mounted on twigs or slabs of bark, preferably with sphagnum moss around the roots. That is very beautiful. I like its color. You are right ceekeigh, that is a very beautiful eye catching flower and has an awesome color. Beautiful, what kind of camera did you shoot this with?